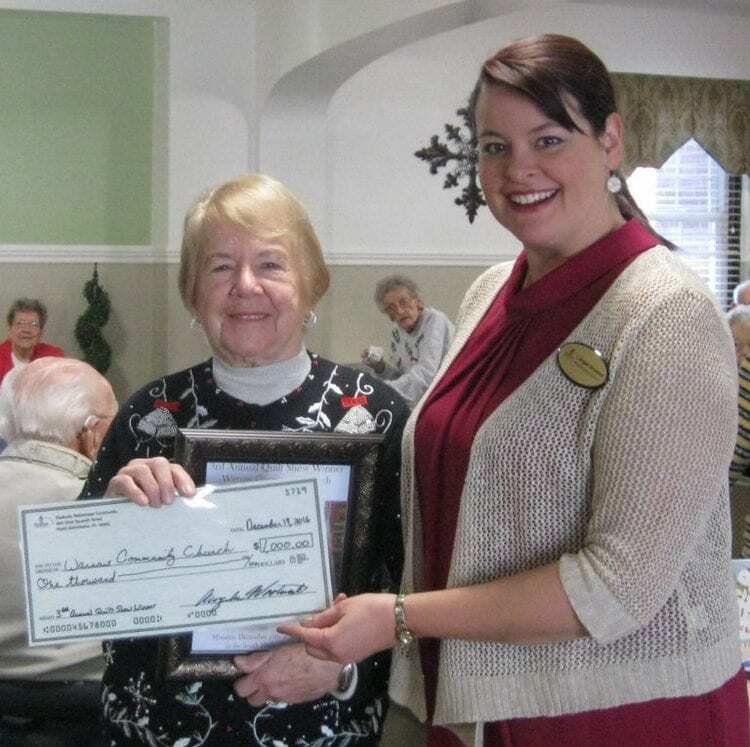 North Manchester, IN – Last month Peabody Retirement Community named the winner of their 3rd Annual Peabody Quilt Show & Contest. A $1,000 prize was awarded to Warsaw Community Church for their winning quilt entry, Piecemakers Times & Seasons, created by Roberta Tucker. The story posted with the quilt when it was displayed for voting explained Roberta Tucker’s love of barns since her childhood on the farm. She first spotted the barn pattern for the winning quilt on a trip to Branson, Missouri. She didn’t purchase the pattern then, but it made a lasting impression. On a return trip the next year, Tucker purchased the pattern along with the intricate fabrics that create the character of the quilt. Named Piecemakers Times & Seasons, the needlework was a clear winner. “Roberta attends Warsaw Community Church, including the Sunday school class taught by one of Peabody’s residents. She explained that the $1,000 award will help fund the church’s WCC Community Care Program. Money in the fund is carefully given to those in need,” Woolard says. According to Peabody, celebrating the ageless spirit is something they do every day at the retirement community. So their annual Quilt Show & Contest—which celebrates the timeless beauty of a lovingly stitched quilt—is becoming a tradition. For questions about the annual contest or the community, churches and families are invited to call (260) 982-8616.